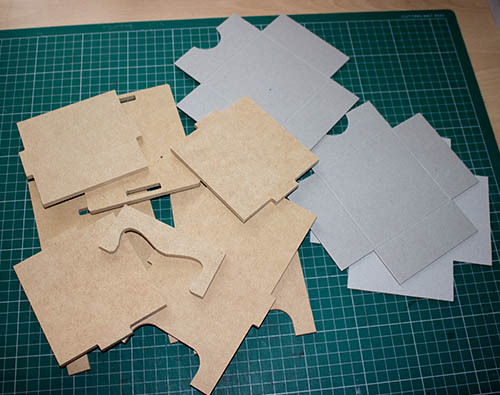 Another lovely Kaisercraft MDF piece. Papers: Heartfelt Creations - Countryside Evening. 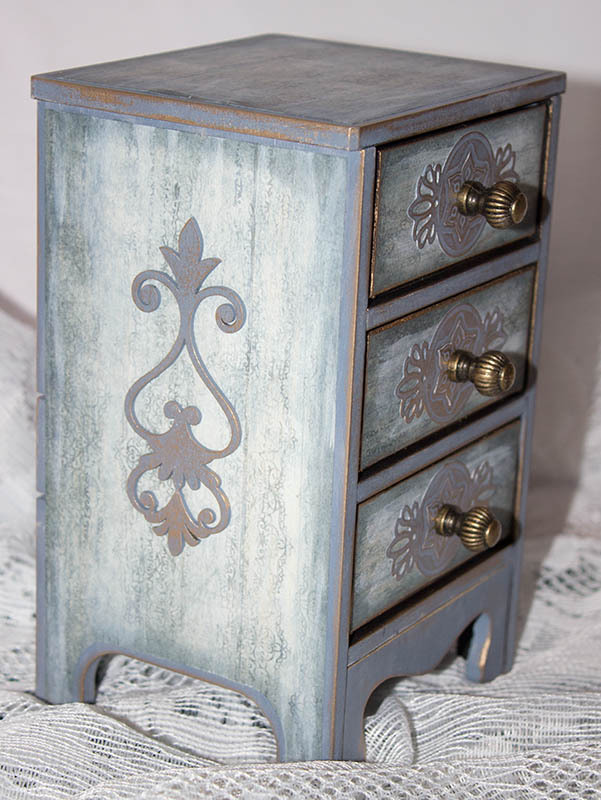 Paint: Crafters acrylic - Wedgewood Blue. 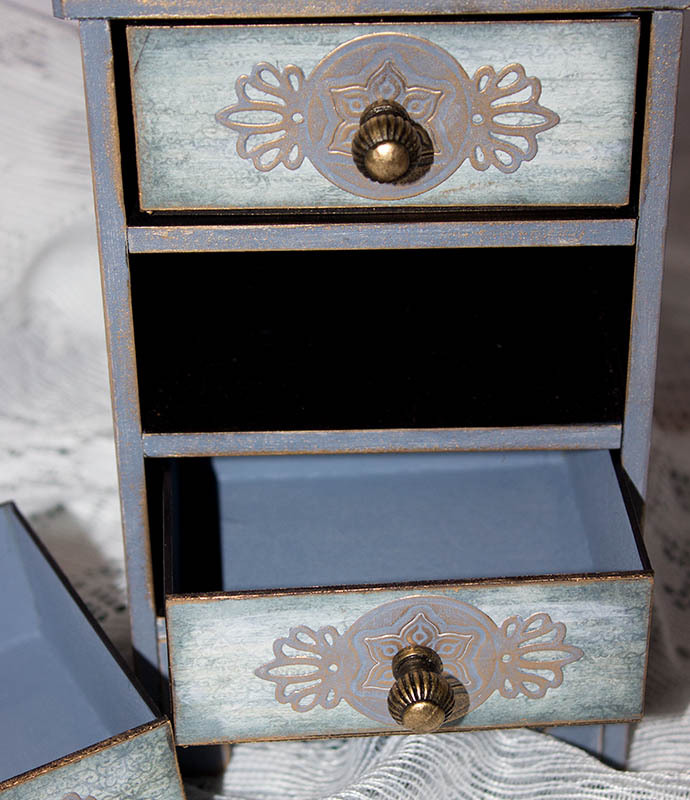 Drawers: Sizzix die cuts and Hobby House handles. 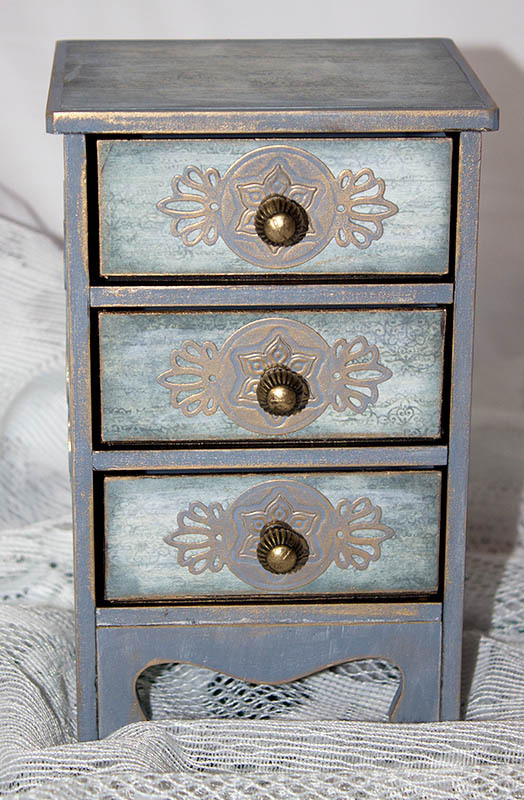 Side Designs: Dusty Attic. 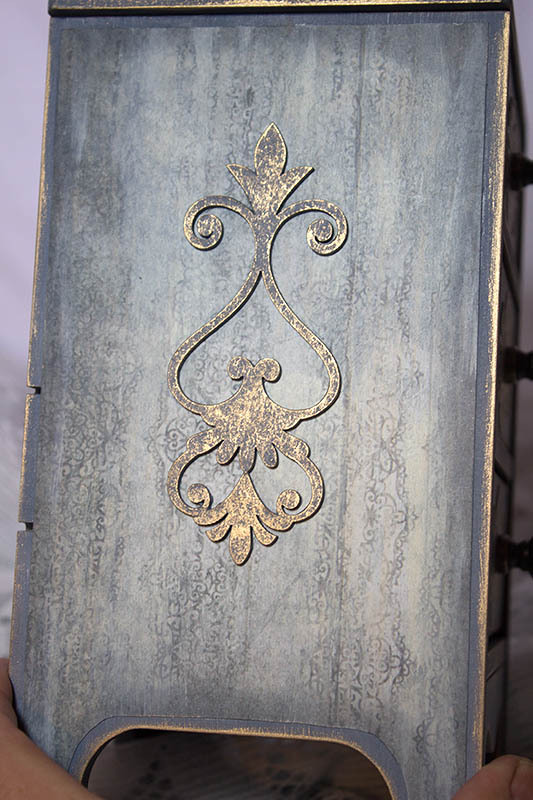 I also used Weathered Wood distress ink, black gesso and Treasure Gold gilding wax. I think the gilding wax worked wonderfully to help age this. I also sanded it back a bit after painting to 'tatty' it up a bit. That's lovely, the blue and gold look smashing together. Oh my god thats beautiful, so clever. That's really beautiful, Lorraine - so impressed with everything you've been doing now you've got your mojo back. Makes me want to get going myself! Love them, shame it's not full size! A bit special, nice work. That's gorgeous Lorraine, love those colours. Nice to see your keeping busy Lorraine. Lovely piece well done.